Hi everyone! 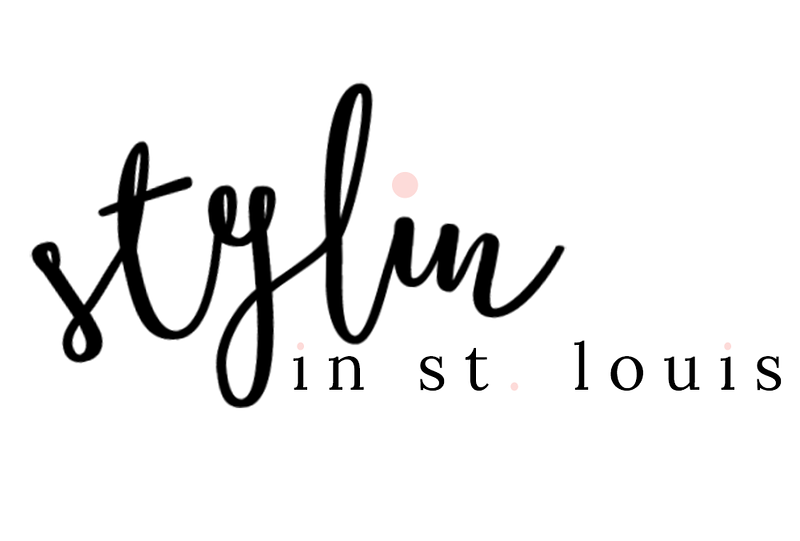 Today I am sharing my last look of 2015! 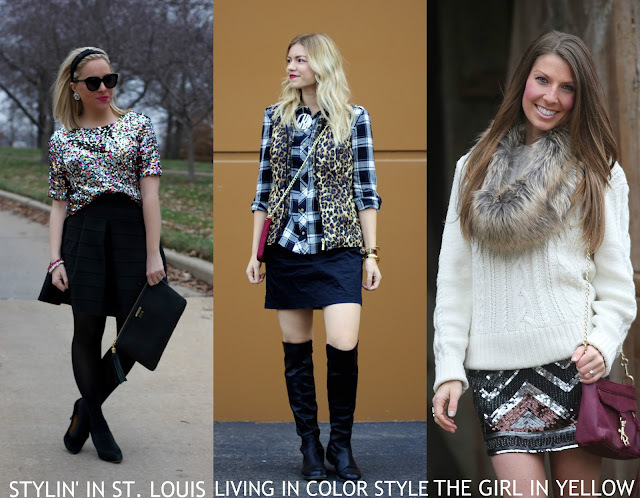 Elle and I are styling glitz and glam looks! Happy New Year's Eve! Thanks for following along this year! See ya in 2016! 1. 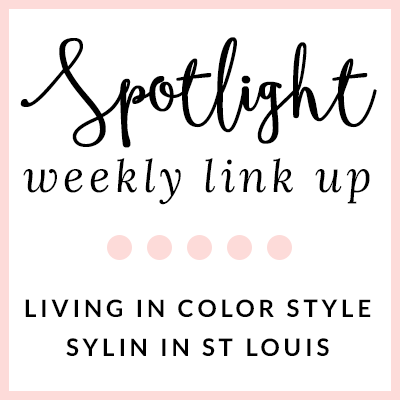 We kindly ask that you follow the two hosts: Elle from Living in Color Style, Jacqueline from Stylin' In St. Louis, and our co-host Kasey of Thee Girl in Yellow via Bloglovin or GFC. 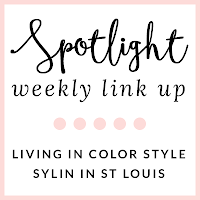 Spotlight: Our spotlight this week is Melissa of Stylista Fitness! We love how cute and cozy her pj's look on her! The perfect cozy winter look! Be sure to check out her blog! 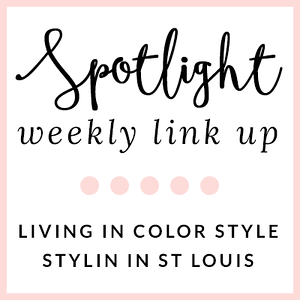 Next week: Next week our spotlight weekly link up is cozy knits! Thanks for linking up! See you next week! Love your sparkle top! Great outfit. Such a gorgeous outfit! Love that top! Happy New Year! Such a fun festive look! Perfect for NYE! I love your sequin top!! So pretty for NYE!! That top is so precious...and I love the glam the headband adds! I just bought that gold sequined top from H&M too. I love that you paired it with all black. Your clutch, earrings and headband are pretty. You look beautiful and ready to ring in the new year. Happy 2016 Jac! 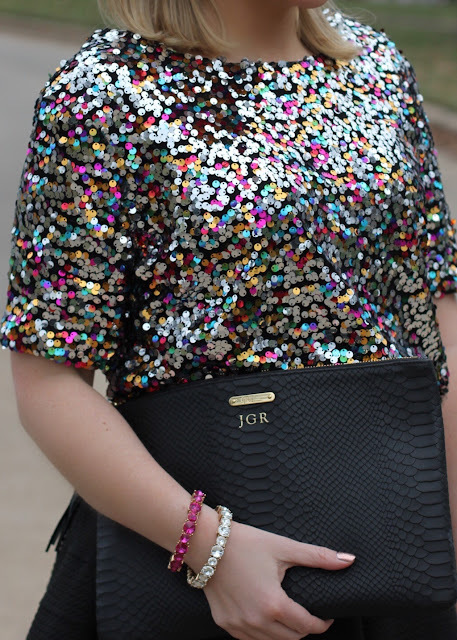 This sparkly top is unreal! Happy New Year! Love that top Jacqueline! It's perfection paired with all black. Happy New Year! I am obsessed with your sparkly tee! So festive! Happy New Year! Love the touch of sparkle! Happy NYE! This is such a perfect NYE outfit, I just love how you kept everything simple to let the top shine! I also love that you have a black GiGi clutch! Loving that gorgeous top, lady! Such a great piece for NYE! I love your sparkle top! Your created such a fun and chic look! 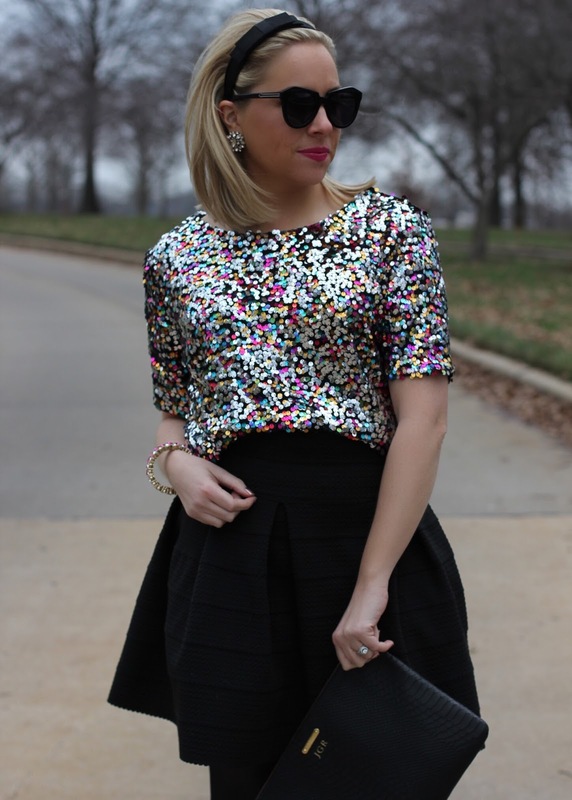 How awesome is that sparkle top! You look so amazing and so very chic! Such a fun top! Have a great 2016!